Home » Baby Books » Board Books » Humour » Picture Books » Reviews » Reviews by Tania » Tania McCartney » Toddlers » Review: Baby says … NO! 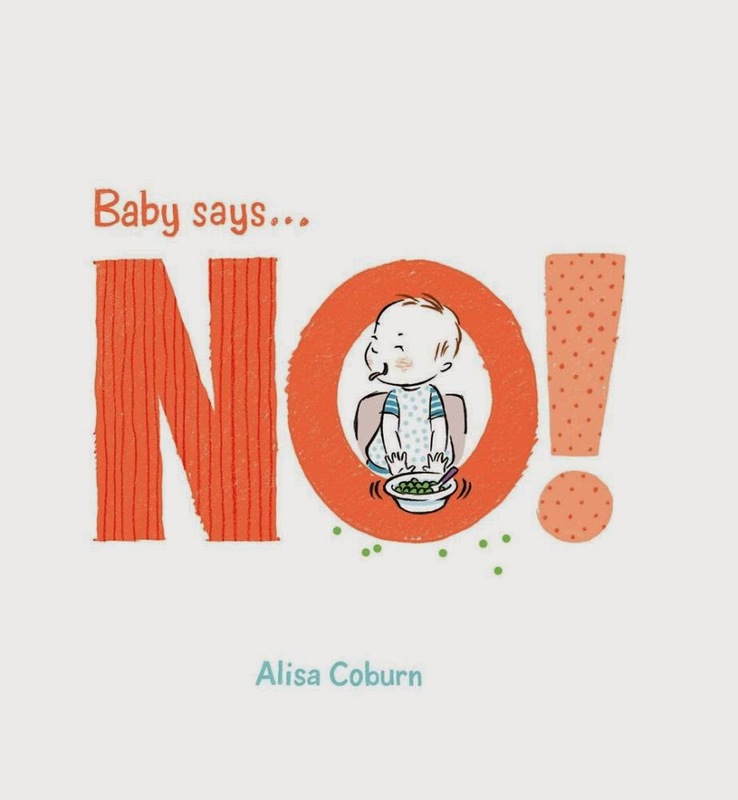 Review: Baby says … NO! Love a good board book, especially when they think outside the square, and this gorgeous new creation (along with its sister book, Baby Says … Uh oh!) by Alisa Coburn ticks all the right boxes. Divine, retro-inspired illustrations. Tick. Fabulous typefacing. Tick. Clever concept. Tick. High production values including lightly-padded front cover. Tick. Lovely smooth, shiny pages with rounded corners for little hands to smooth over. Tick. Contemporary mores. Tick. Humour. Tick tick tick. Baby likes to say no. When mum asks baby to hand back her mobile phone and swap it for a talking toy phone, baby says no. When mum lays showcase a range of fabulous fashion ensembles for the day, baby says no. When mum comes up with a fine gourmet selection of lunchtime choices, baby says no. No no no no no! No to cuddles, no to big sister, no to sharing, hats, shoes, socks and sunscreen. What could possibly tempt this wee poppet into a yes? Charming, cute and clever, this is a book little ones will simply adore, and mum, dad and big sister will get a fine giggle out of, too. Title: Baby says … NO!